California Electrical Works, Inc. established in 1993 by John Aguirre. A 1979 graduate from Los Angeles Trade Technical College major in Electrical Construction and Maintenance. John worked his way up to a Project manager, specializing in commercial and industrial with variations of electrical installations from the ground up to new buildings and renovation of existing buildings. With his experience he felt confident to challenge himself to start his own company. Now 16 years in business, more than 25 years experience in continuous commitment to prompt quality service at comparable rates contributes to the company’s success. CEW is insured with an (Admitted, A+ rated by A.M. Best) in the amount of five million and State Fund Compensation Insurance. 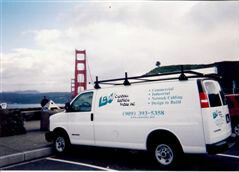 Copyright © 2009 California Electrical Works, Inc.